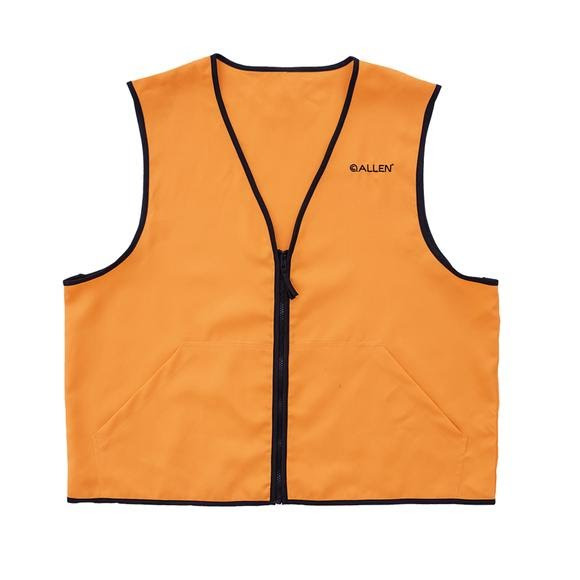 The Allen Co's Deluxe Blaze Orange Hunting Vest from Allen has over 600 square inches of highly-visible hunting-compliant fabric. Made from durable polyester, the vest has a heavy-duty front zipper closure, plus two large pockets, great for keeping essentials close by when hiking to your hunting spot. The Allen Co &apos;s Deluxe Blaze Orange Hunting Vest from Allen has over 600 square inches of highly-visible hunting-compliant fabric. Made from durable polyester, the vest has a heavy-duty front zipper closure, plus two large pockets, great for keeping essentials close by when hiking to your hunting spot.